I feel very naughty as I have not put my fingers on the computer keys for many months and updated our blog. This is due in part to the crazy year 2016 turned out to be. The cottages were busy throughout the year with guests in every week of the year. Personally we had a active year too with 3 weddings, a funeral and a birth which meant whizzing around the country attending or doing. The cottages have also had many updates. Lakeside cottage now has double glazed windows, wood flooring in the bedrooms and a new under sink water heater. The old emersion heater leaked during the Summer causing quite a few problems – all is now rectified. 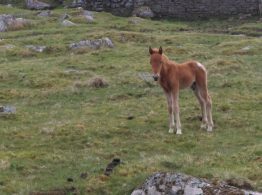 The Stables has a new water heater system and The Lodge has a new wood burning stove and TV as well as drainage system – yes it was quite a year! This year’s bookings are going well and steadily filling up the diary. 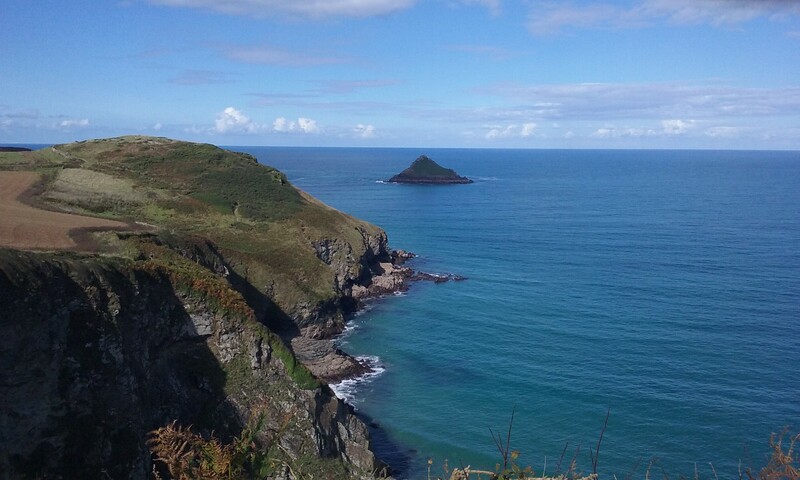 So if you are thinking of a break or longer holiday and have your dates in mind you can call, email or check out our diary on line – whichever suits you best. On a personal basis, David’s eldest son got married in April and their first child arrived in August, unfortunately he was 6 weeks premature so it was touch and go for a few weeks but he is doing well now. Friends got married in May and then our niece in August. Unfortunately my father died in November – he lived a long way away but I am pleased that I saw him 4 times last year and spent a very happy few days with him in September. We spoke everyday on the telephone so it has been a little strange not having him around. He had a long and good life. During 2016 we, and our dogs, enjoyed many of the beaches in North Cornwall. Early on in February we visited Holywell Bay and Crantock, near Newquay – fabulous National Trust beaches that have the wow factor. Treyarnon Bay was a favourite of ours when the children were younger and one we hadn’t visited for many years – it is still as beautiful as ever. Constantine Bay – this was a strange one – I remember a trip there many years ago and not being impressed but a few weeks ago we found ourselves next to the sign and we followed the road down and found a wonderful sandy bay and the dogs loved it. 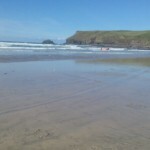 Of course we have visited our local beaches of Daymer Bay, Polzeath and Widemouth all fantastic places to see. 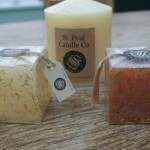 Another local visit we have made in the last few weeks is St Eval Candle Company. It is a small Cornish business that produces a wonderful array of candles and I love candles. A friend mentioned recently they had been there to collect the church candles. We looked on line and decided to call in. As you walk into the shop the aromas of the sweet essences that meet you are enticing. Not all the candles are fragrant there is a good mixture. The prices are good too. You can enter the workshop and watch them making up the candles and there is an information board explaining the process. There is also an opportunity to paint your own candle – we didn’t do that and took friends there who were also very impressed. We had lots of candles for Christmas and now have plenty more from our most recent visit. We wish you all a great 2017 and look forward to seeing you soon.